Do you live near the woods or a body of water, or go outside during the summer - EVER? You are at risk of being preyed upon by tiny flying vampires. 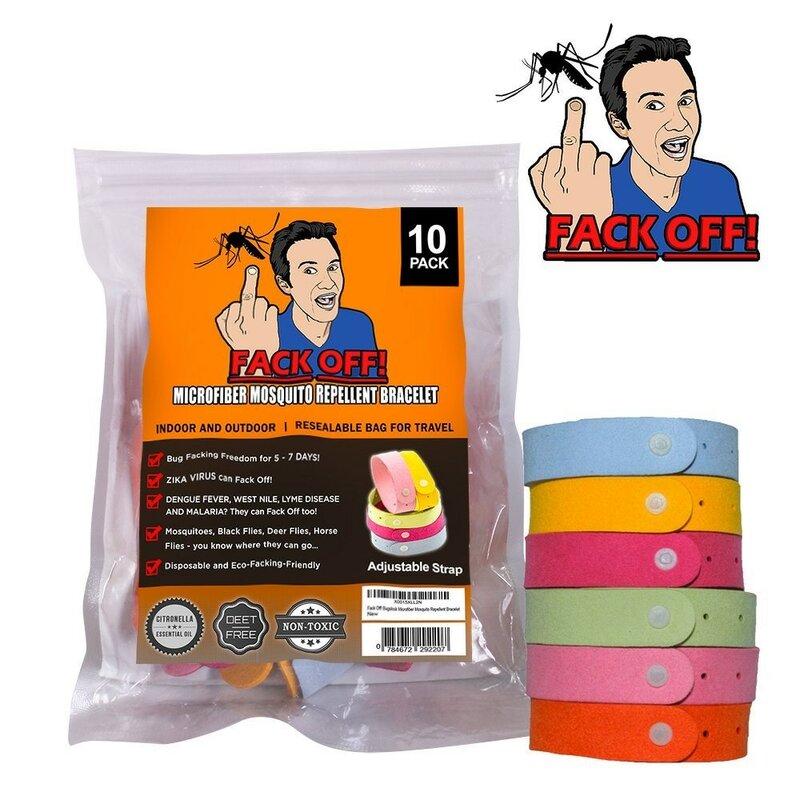 Let these Microfiber Mosquito Repellent Bracelets tell them to Fack Off! Tropical disease viruses lurk just beneath the fangs of those blood sucking insects.